Nakshi Kanthar Math or Nokshi Kathar Math is a Bangla Poem Book written by Pollikobi Jasimuddin. He is a great poet of Bangladesh. Most of poem written by him is village related that’s why people call him Pollikobi (Poet for village). Nakshi Kanthar Math and Sujon Badiyar Ghat is most popular books written by him. Jasimuddin was born in January 1, 1903, Faridpur District and died in March 13, 1976, Dhaka, Bangladesh. He was studied at University of Calcutta. All poem lovers should read this book. 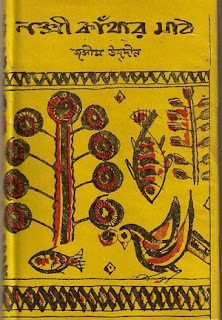 Of course you will like this because this is very famous poem book of our favourite poet Pollikobi Jasimuddin. If you like this Bangla Poem Bookplease buys a hard copy from your nearest book shop for support the publisher. Note that: More PDF reading will damage your eyes!